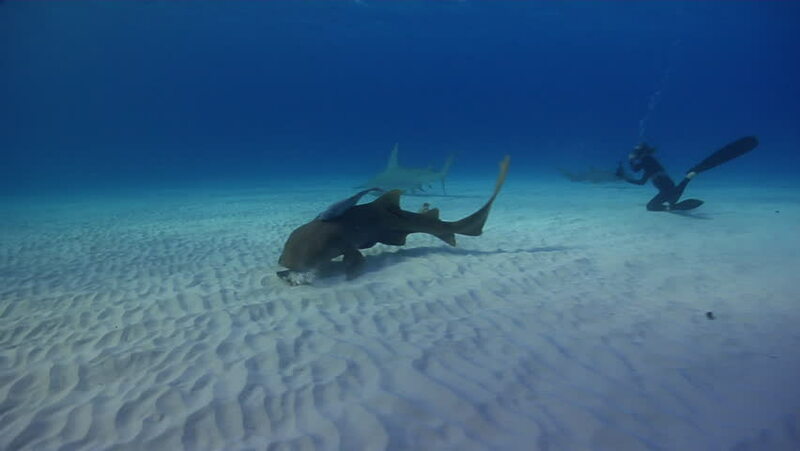 An adult nurse shark feeds on the sea floor. hd00:25Diver plays with a gray shark underwater on sandy bottom of Tiger Beach Bahamas. Extreme scuba diving. Swimming with a predator Carcharhinus leucas in pure blue water of Atlantic Ocean. Unique video. hd00:12Diving with sharks underwater in Bahamas. Swimming in Atlantic Ocean. .
hd00:08The group of divers on the sea surface. Amazing, beautiful underwater world Bahamas and the life of its inhabitants, creatures and diving, travels with them.